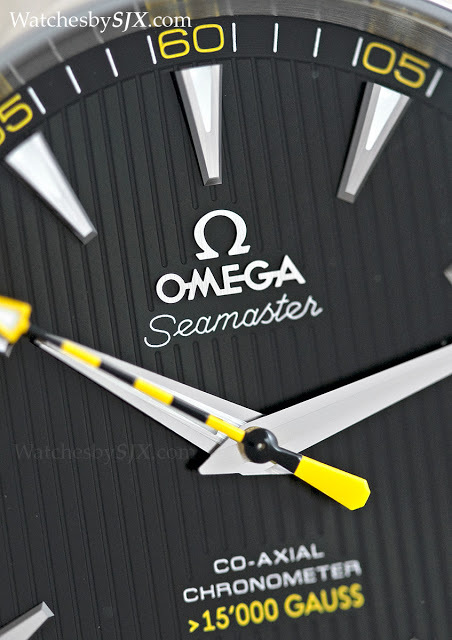 At Baselworld 2013 Omega finally took the covers off the Seamaster Aqua Terra >15,000 Gauss, a watch that is not only magnetism-resistant but more importantly a landmark in battling magnetism in wristwatches. 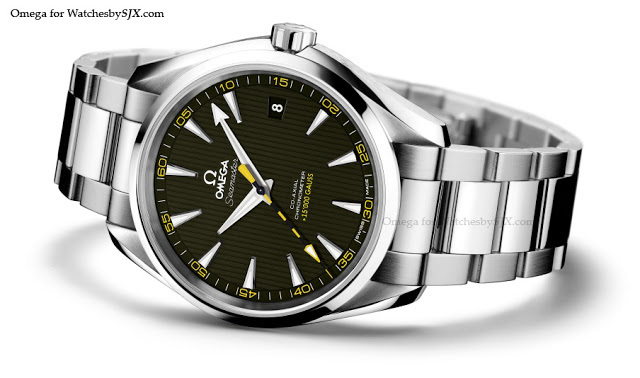 Equipped with the new Co-Axial Calibre 8508, the Omega Seamaster Aqua Terra >15,000 Gauss is resistant to magnetic fields of 15,000 gauss and more, equivalent to over 1,200,000 A/m or 1.5 T, giving it the highest level of magnetism resistant of any wristwatch today. 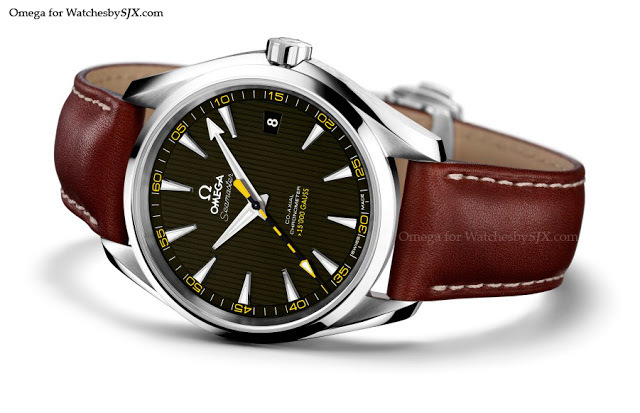 The Seamaster Aqua Terra >15,000 Gauss is a breakthrough not so much for the technology used, but because it is widely available at a fairly accessible price, offering a hint of things to come. Encountering a magnetic field of that magnitude is unusual, except for those working in industries with equipment containing large magnets, like medical professionals and nuclear engineers. That being said, weak magnetic fields are common in everyday life, emanating from electric appliances like speakers and refrigerators, but also in gadgets like mobile phones and iPads. Generally, these magnetic fields are negligible. According to the World Health Organisation, the average daily exposure of a normal person is about 0.10 µT. That’s several millionths of what the Aqua Terra >15,000 Gauss is resistant to. But when a magnetic field is strong enough, it will affect a mechanical wristwatch. The result is either the wristwatch running extremely fast, or stopping altogether. 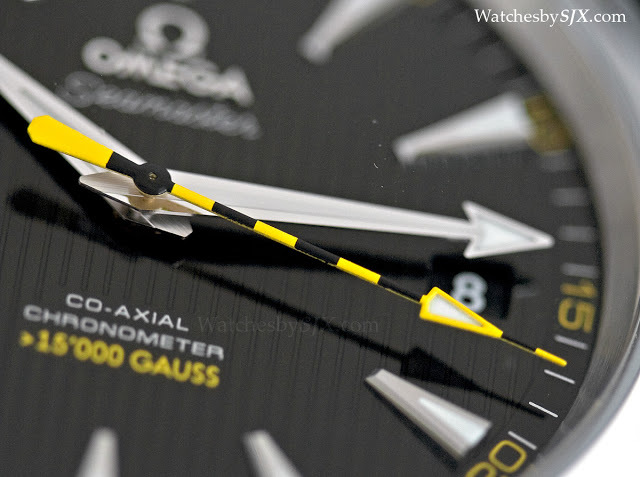 While magnetism is not a frequent problem with wristwatches, it happens often enough and when it does it typically cannot be ignored. Watchmakers long ago devised a solution for this: the soft iron cage. A simple but effective solution, the soft iron cage is an inner case enclosing the entire movement, acting as a Faraday cage and blocking magnetic fields from reaching the movement. Such soft iron cages can be found in military watches from the thirties, and occasionally even in nineteenth century pocket watches. The soft iron cage became the de rigeur solution for magnetism-resistant watches, including the most famous of them all, the Rolex Milgauss and IWC Ingenieur. 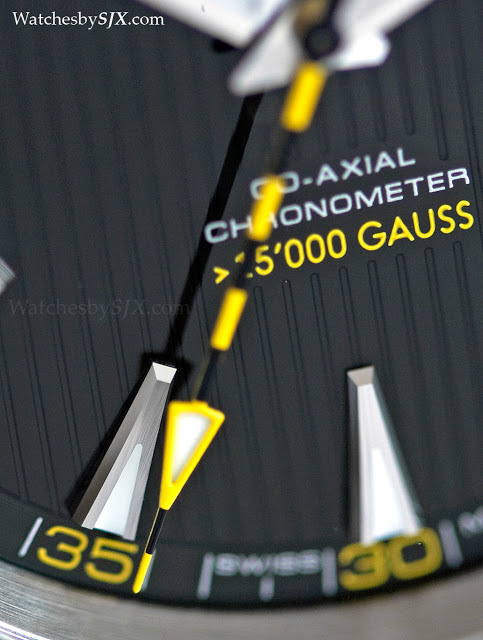 These watches are usually resistant to magnetic fields of about 1000 gauss (hence mille gauss), or 80,000 A/m. It is worth noting the IWC Ocean 2000 BUND AMAG, issued to German navy minesweeper divers starting in the late eighties and in use till the early part of this decade. Because sea mines are triggered by a magnetic object disrupting the magnetic field generated by the mine, the divers had to be thoroughly anti-magnetic. 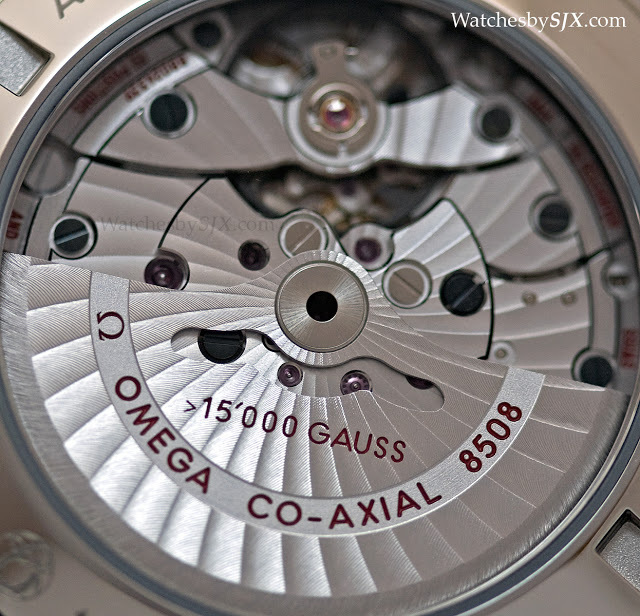 The Ocean 2000 AMAG did not use a soft iron cage, instead all the parts of the ETA 2892 movement were made from non-magnetic metals; the balance wheel for instance was made of a beryllium alloy. 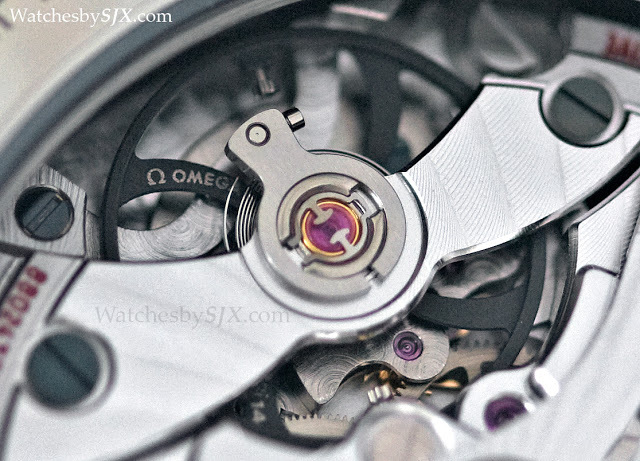 IWC essentially rebuilt the 2892 to turn it into a non-magnetic movement, where no component could be magnetised. 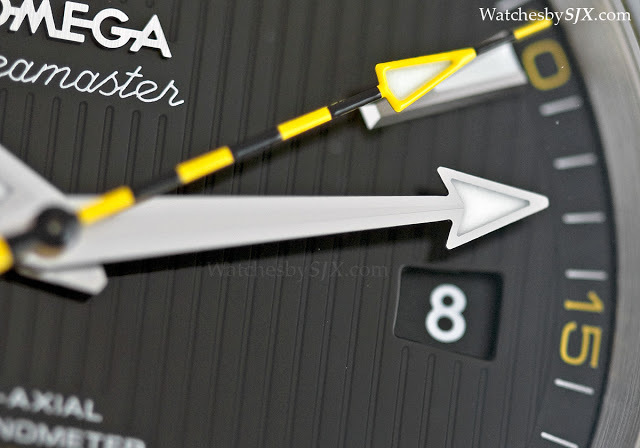 But only a few dozen of these watches were made – they were apparently unrewardingly tedious to manufacture – and they are now highly collectible. 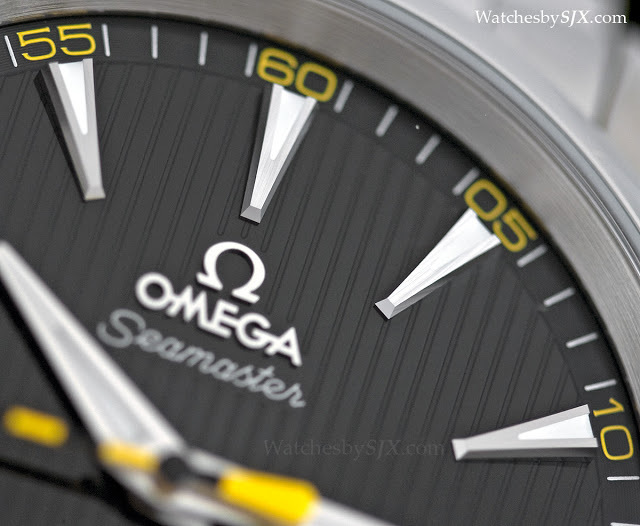 Omega has taken a similar approach with the Seamaster Aqua Terra >15,000 Gauss, except that production has been industrialised and will soon be found on other Omega models. 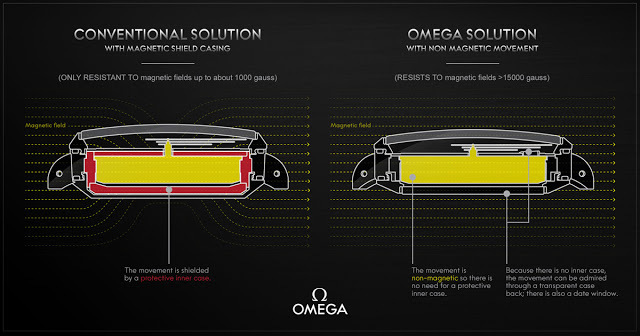 It is likely that magnetism-resistance will become a key feature of Omega movements in the distant future, since it is a cost effective way of eliminating watches being returned for demagnetisation, a laborious process that does not generate revenue. Key components of the Co-Axial cal. 8508 are made from non-magnetic materials. 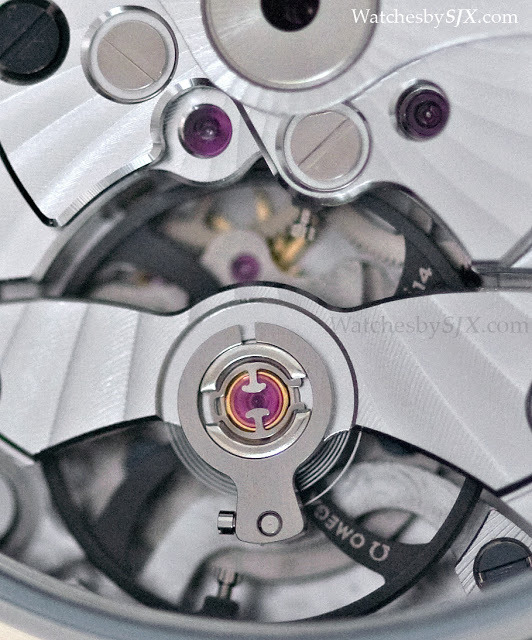 The hairspring is silicon, the same Si14 balance wheel used in most other Co-Axial movements. Additionally, and this is where patents are pending, the escape wheel and pallet fork are made from non-magnetic alloys, as are their pivots. And the shock absorber spring of the balance bridge is made from an amorphous alloy. And the cal. 8508 is visible through the display back. This is because unlike the traditional soft iron cage solution where the magnetic field is stopped from getting to the movement, a magnetic field can pass straight through the cal. 8508, since it is is highly magnetism resistant. 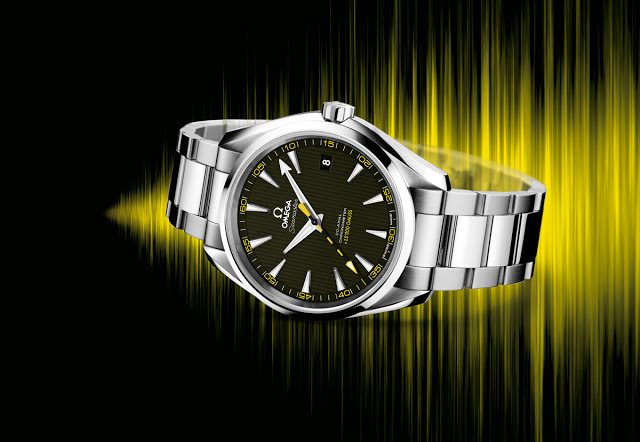 Magnetism resistance aside, the Omega looks similar to other Co-Axial movements with an attractive, but clearly industrial decoration. 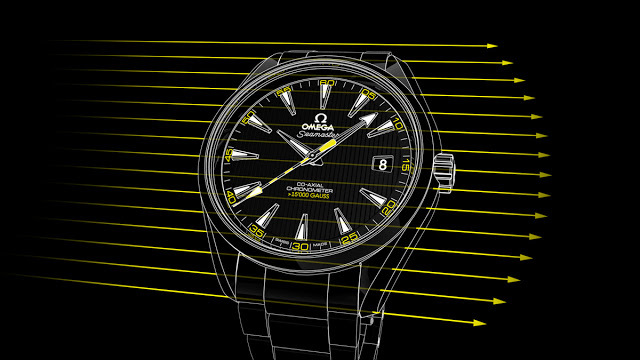 Visually the Seamaster Aqua Terra >15,000 Gauss resembles the typical Aqua Terra, save for the striking yellow and black seconds hand which is reminiscent of the safety warnings on industrial equipment. Though it is perfectly executed when viewed from the front, the paint on the seconds hand is not well applied on the underside. 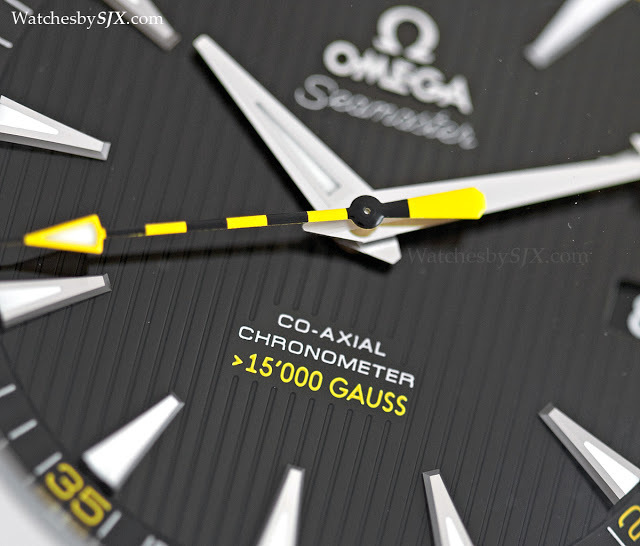 The Seamaster Aqua Terra >15,000 Gauss has all the qualities which most Co-Axial Omega watches now boast, including the precisely shaped, diamond-cut indices and hands. 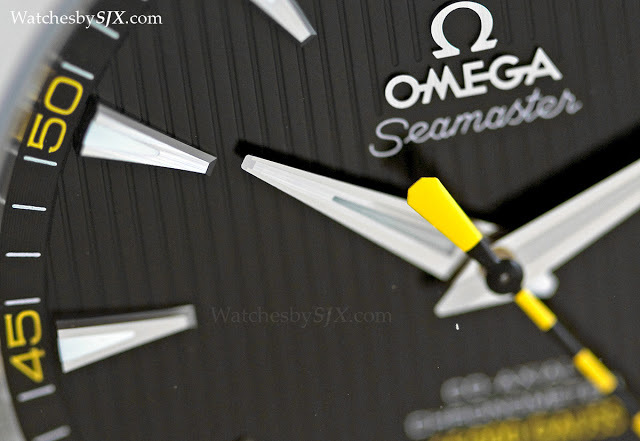 In this price segment Omega boasts some of the best hands and dials. 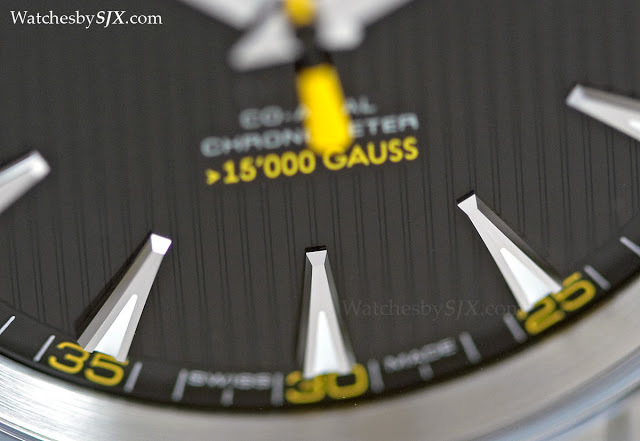 On bracelet, the Seamaster Aqua Terra >15,000 Gauss retails for S$8550 in Singapore, including 7% tax (~US$6900). It costs slightly less with the leather strap. – SJX Follow us on Facebook, Instagram and Twitter for updates and news.